With spring break just around the corner, travelers don’t have to choose between a beach vacation or a mountain getaway. 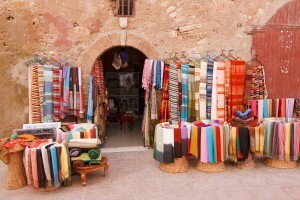 Morocco combines the best of both worlds and is only a six and a half hour flight from New York City. In Marrakech, the snow-covered Atlas Mountains await travelers, just hours from the Atlantic Ocean. The vibrant culture is everywhere in this city, just visit the Djemaa el Fna square and take in the sights and sounds of ornate carpets, exotic spices, snake charmers and belly dancers. South of Marrakech is the village of Oukaimeden, which hosts Africa’s premiere ski resort. Skiers have 12 miles of trails, instructors, ski schools, rentals, lifts and restaurants at their finger tips. In some hard-to-reach runs, mules even carry skiers up the mountain. Other mountain activities include skitouring, snowshoeing and sledding. While peak conditions are usually in January and February, skiers can enjoy the mountain as late as April. A new expressway has been built in Agadir to provide travelers with a scenic three hour tour. The town’s main attraction is a six-mile sandy beach which also offers visitors activities that include surfing, paddleboarding, wind and kite-surfing, sailing and fishing. Palm trees, trendy cafes and beach front bars are present everywhere to keep travelers entertained.